Hear from ToolingDocs’ Attendees how Certification Training can help streamline mold maintenance processes. 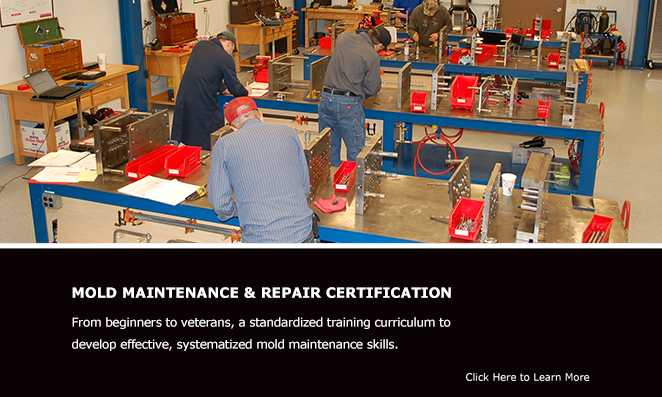 ToolingDocs is a leading authority on mold maintenance, offering multi-level mold maintenance certification training involving both classroom and hands-on education. In addition, they offer assessment and consultation services including Maintenance Capability Assessments (MCA), On Site Training (OST), Total Systems Implementation (TSI), and shop layout and toolroom personnel development, all designed to assist molding companies in their quest to cut costs and increase production efficiencies.